This surgeon should be avoided at all costs. She led me to believe it was in her capacity to repair my Pectus Excavatum without issue. She believes the P.E condition causes no physical symptoms, and that it's all cosmetic. Upon awakening from surgery I immediately noticed the deformity was not corrected in any capacity. She had placed a 17" bar (far too big for my chest size) several inches above my actual deformity ( nowhere near the sternum). As a result of her handy work, I was in much worse condition than when I came to her for help. I still had a deep P.E, the bar she placed was so large that it literally caused pectus carinumtum in my upper sternum. I lived in pain and with a twisted figure for nearly 2 years before Dr. 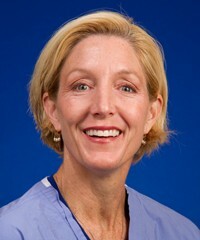 Dawn Jaroszewski from Mayo Clinic gave me my life back. After the operation the initial surgeon, Dr. Kerry Sullivan, would continuously tell me that the surgery was successful and the appearance would get better in time. She is either delusional or a liar ( I don't know which is worse). At best she could have at last told me I should seek another surgeons skills to fix my P.E, but instead she just acted like there was no necessity for such a thing. I wish she would have not placed the bars at all once she realized she was out of her league, however she left it in place, stitched me up, and left me to suffer until I could find a competent person to remove them.